It's the season of giving and there is no better way to give your gifts than in these festive and colorful large Christmas gift bags. Share the magic of Christmas with your family and friends with these beautifully illustrated gift bags. 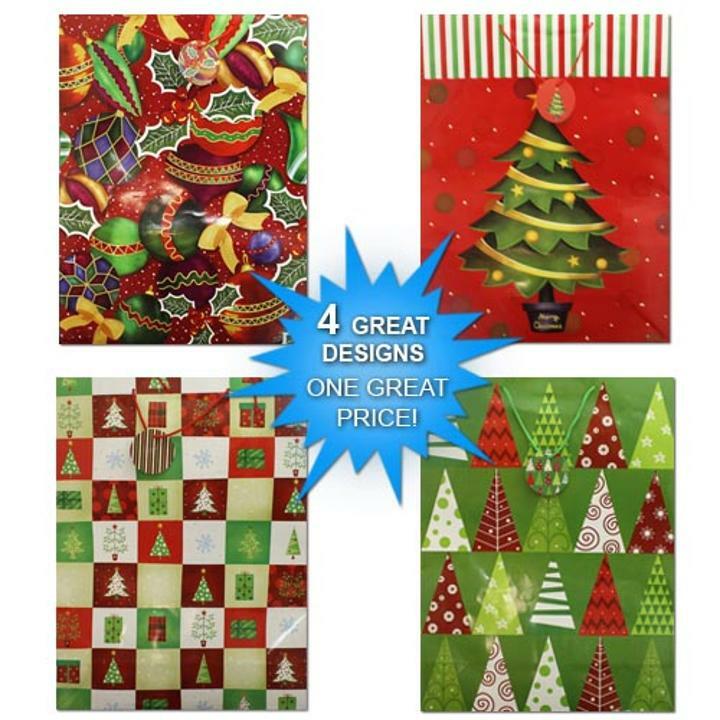 Designs include a Christmas trees, assorted ornaments and presents . Make sure to keep plenty of these bags on hand during the holiday season. Pack includes 4 super giant gift bags. Dimensions 29"x19.75"x1.5"
29 in. x 19.75 in. x 7 in. L: 29.0 in. W: 19.75 in. H: 1.5 in.